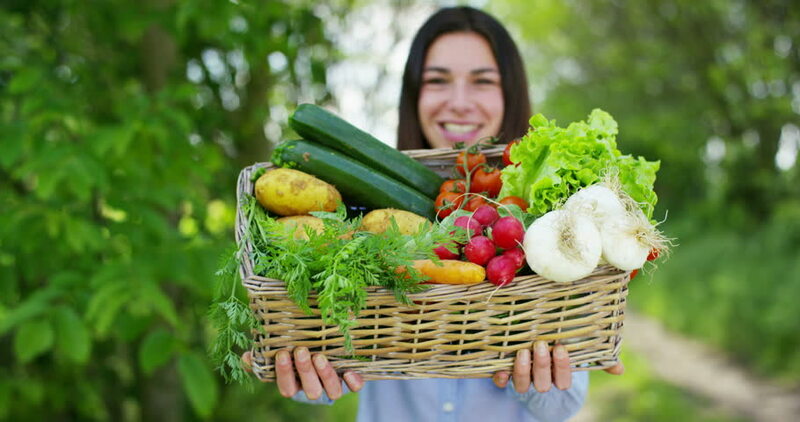 Would you also like to start a vegetable garden, but do not know how or with which to start? Growing vegetables in your own garden are nothing but fun. We give you five kitchen garden tips that will help you on your way. As a beginner, it is always more pleasant to start with easy vegetables. If you want to cultivate the entire vegetable assortment very ambitious, you will soon become discouraged. Who knows, you might get big disappointments. You can expect a harvest of romaine lettuce, radishes in spring, cress, beetroot, celery, beans, some early potatoes, parsnip, onion, courgette and pumpkin. Sunlight for your vegitables garden is essential.. Prefer a sunny spot if you want your vegetables to be juicy and fresh. Only a few vegetables do well in a shaded spot: rhubarb prefers not to be in the sun. There are a few vegetables that tolerate some shade, such as strawberries, endive and beetroot and some garden herbs such as chervil, peppermint and cress. Divide your vegetable garden into plots and make them the same size. This is important because you shift your vegetables every year to a parcel. Make your plot 1.10 meters wide, with a path of 30 centimetres in between. That way you can quickly go anywhere. You fertilise your vegetable garden to improve the soil structure and to add nutrients. As a fertiliser you always choose compost. It closes the cycle of your vegetable garden because you use your garden and kitchen waste again. Also, compost has all the good qualities of organic fertilisers. In the conventional vegetable cultivation, the environment is adapted to the plant. This is done with the help of artificial fertiliser and pesticides. Heating is used to grow outside the natural season. In the ecological garden, it goes the other way. You achieve success by working with nature and choosing plants that are suitable for the soil and climate in your garden. You grow your vegetables in the right season. In this way, you prevent a lot of misery, because plants that are adapted to their environment become ill less quickly.